At least one Lincolnite is concerned about the city’s plans for its future West Haymarket arena to have “standing platforms” in the student section, rather than seats. Arena designs unveiled last week indicate the arena will have standing platforms five to seven rows deep, rather than seats. Jane Kinsey, a member of a new Lincoln government watchdog group, questioned the wisdom of making students stand up during entire games during the Thursday meeting of the Joint Public Agency overseeing the project. She said it’s not fair for students to have to stand. Stan Meradith of DLR, the architect, said the Nebraska athletic department requested standing platforms, which are typical in arenas nationwide, he said. UNL Regent Tim Clare said when the university, the city’s partner, says that’s what they want in the arena, the JPA should honor their request. In fact, Clare said Marc Boehm of the UNL Athletic Department was adamant that they want standing platforms on three sides of the court. As an aside, I found it funny how in the LJS story cited above, the writer quickly pivoted from the students’ standing issue to whether season ticket-holders would have any trouble seeing over the standers. According to public documents, the cleanup of a diesel plume in the area targeted for Lincoln’s new arena will take longer than originally planned and cost about $400,000 more than projected. 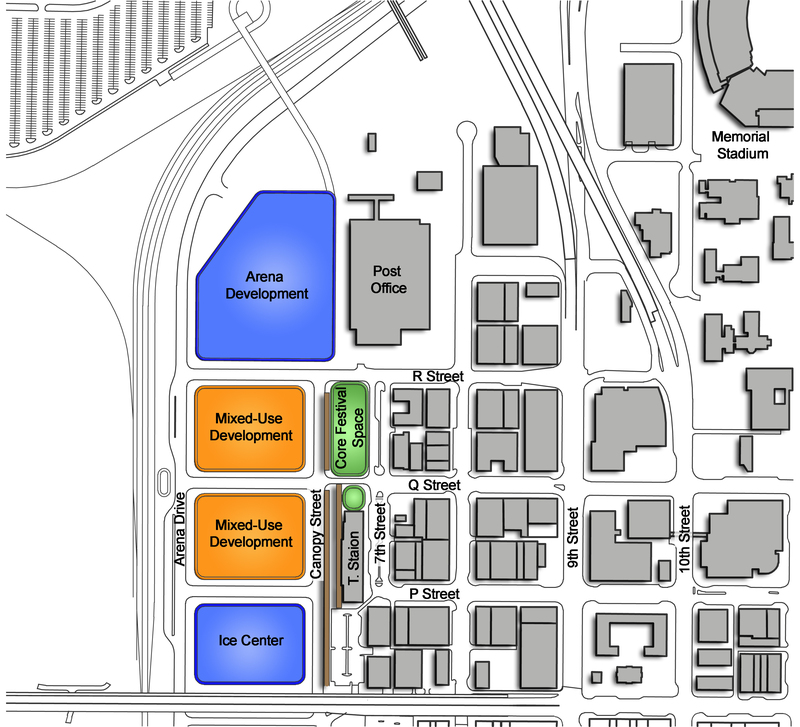 The arena development is largely taking place on the active railyard west of the Haymarket — where there is a diesel plume about the size of a city block northwest of Lincoln Station. General Excavating of Lincoln was hired to remove the diesel. The three-member Joint Public Agency overseeing construction of the project will be asked Thursday to approve a change order that will — among other things — give the excavating company more time to do the job. The documents indicate originally the contractor was scheduled to begin work Dec. 22 and finish the remediation of the diesel spill in 55 days, by Feb. 15. But due to delay of approval of the contract, the “notice to proceed” wasn’t issued until Jan. 13. General Excavating argued weather caused delays, too, but the city said weather delays should have been taken into account when the company submitted its bid, since the work was to be done during the winter and the city had “unseasonably favorable” conditions during most of that time frame. The city is proposing that the JPA grant a seven-day extension due to weather to account for blizzard conditions the first week of February. The JPA will also be asked to grant a 25-day extension due to BNSF’s delay in completing an overhead power line relocation and no temporary power to do the work. All in all, the change order will change the target date for the work to be substantially completed to May 10. 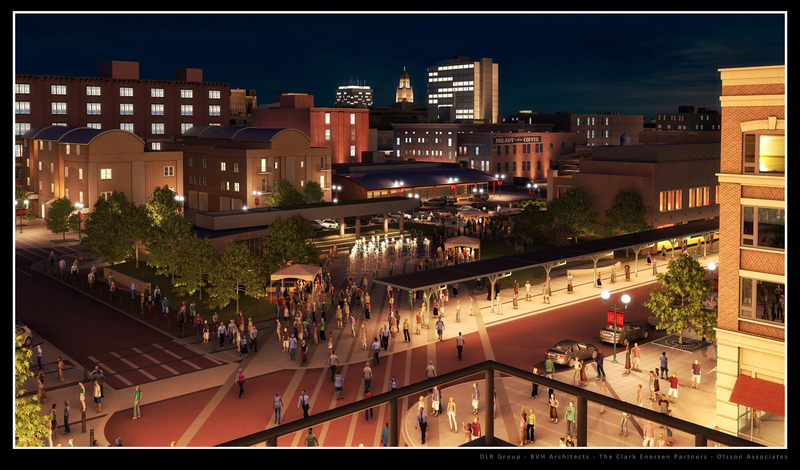 “While the West Haymarket Redevelopment Project is on a very aggressive timeline, we understand that there may be additional requests for extensions of time due to unforeseen circumstances,” Ernesto Castillo of the Urban Development Department wrote to the contractor.